about their amazing experiences abroad. 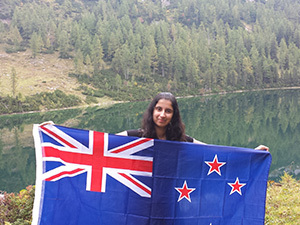 Thank you, Rotary NZ, for the wonderful opportunity that enabled me to travel to Austria. I spent my year with two host families in Bregenz, a town by Lake Constance (in German, Bodensee) with a population of 28,000 people. It is about a 20 minutes’ drive to both the Swiss and German borders. From my home it would take me ten minutes to ride a bike to the school, supermarket, and the lake. I crossed paths with someone I knew every time I rode to the town centre. I first arrived on a cold, snowy Saturday night in Zürich Airport. On my first day, I took part in the annual carnival activities my host family was involved in. 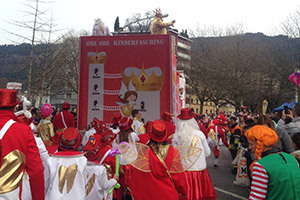 We dressed up in traditional Austrian costumes and went to Fasching (carnival) parties and parades. One night, we performed at a ball. I spent the weekends during this time visiting different towns and meeting many people. My exchange started immediately with a great cultural experience. I also started school as soon as I arrived. I went to a high school called Bundesgymnasium Gallusstraße (BG Gallus). With only 600 students, the school was a stark contrast to Rangitoto College, my last high school in Auckland, which had 3,000 students. In BG Gallus, I was in the Matura class - the last year of high school. I had a wonderful time at school. We went on trips to Vienna and Strasbourg. In November, we had a ball. I had fond and many funny memories with everyone from my class. They fully accepted me as part of their class and close friend outside class. I went to birthday parties and other celebrations. At the end of my year, we celebrated New Year together. They worked together to make me a memorable parting gift: a scrapbook with photos and a page written by everyone in my class. I would attribute their full acceptance of me primarily because of my whole hearted effort in learning German and persistently speaking it, even with my poor grammar in the beginning. The Rotary club in Bregenz was open and welcoming. They hosted Ryan, from Australia, and me. We attended their meetings every Tuesday afternoon at the posh Bregenz Casino. Lunch with club Rotarians was always nice. Guests would come and give a speech on new projects or events coming up, with Rotary being a part of them. The club was big. About 30 or 40 members would be present at the meeting every week. I had a friendly, very organised (and strict!) councillor. She enrolled me and Ryan in German courses that I attended throughout the year. By the end of the year I passed the B2 German exam - the level that allows one to enter a number of universities in Austria and Germany. 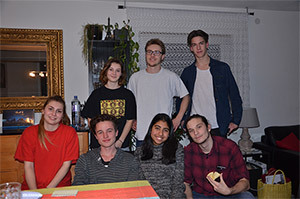 Living in the westernmost state of Austria, I did not often meet up with many of the other exchange students. Most of them lived in Vienna or in Oberösterreich, a 7-hour train journey from Bregenz. At the Rotary-organised weekends, I found them to be warm and friendly. We went skiing and hiking together. Rotary Austria also organised a district conference in the middle of the year. Several of my friends said they will visit me in New Zealand. I look forward to that. Then I can truly say I completed my Rotary ambassadorial duty! I am so proud to be living in New Zealand and can’t wait to show them around. Thank you again Rotary NZ. It was a rewarding experience. 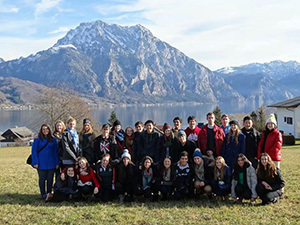 My name is Elleysha Eastell, I am a part of the Rotary youth exchange program and I have spent the last eight months in a beautiful country, known as Austria. Two years ago, if you told me I would be living on the other side of the world for an entire year, I would have said – you’re crazy! I am so close with my family and friends that the thought of moving away from home not only seemed impossible, but it scared me. In my last year of school, I was faced with the giant task of deciding what to do with my fast approaching future. It became clear that I had no idea what I wanted to do, or who I wanted to be – I didn’t really know myself at all. Then a kind lady said five small words that pushed me over the edge: “Would you regret not going?” And that was why I came on exchange, I didn’t want to miss out on the opportunity to grow as a person and find myself; hopefully giving me some ideas about my future. During the months leading up to my exchange I had lots of information to read over and forms to fill out. My excitement built... but so did my fear- in a few months I would be trading the normal for the unknown. Although I was scared, it was a good feeling, I knew my life was about to change. Finally, the day arrived. Departure day. 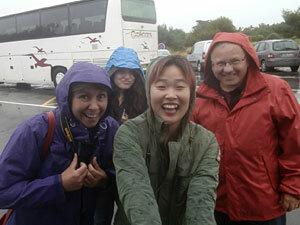 All of the New Zealand outbound students (not those travelling to South America) travelled together. On our way we stopped in LA for three days. There we visited Disneyland, Universal studios, the walk of fame and other sites. Although it was only three days, I made some life- long friendships and that was when it sank in- my exchange had begun. 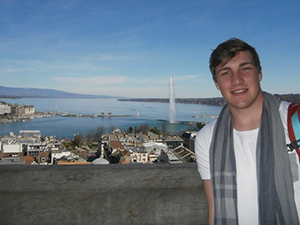 Now, having spent eight months in Austria, I know choosing to go on exchange was the best decision I have ever made. 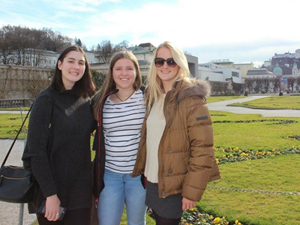 Not only have I learnt about Austrian culture but I have been to places and seen things that some people may never see - and I’m only eighteen! Of course it was hard in the beginning; everything was foreign. I arrived only knowing how to say hello and my name but with time and persistence, I began to understand words, which became sentences, and then whole conversations. The feeling you get when you have your first full conversation in the language of your host country is exhilarating. From then on things just started to fall into place- you can follow classes, speak easily with family and friends, and even laugh at their jokes. Things like this seem so simple, but when they are in another language you realise- it’s the small things that count; being on exchange has taught me to value all things in life. 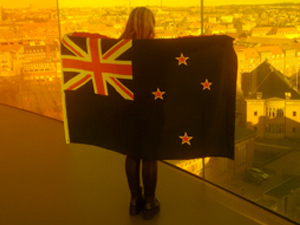 Another thing that I have learnt from exchange is how proud I am to be a New Zealander. 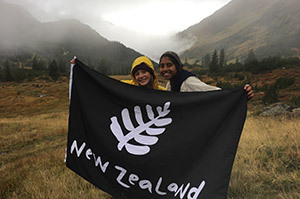 I thought I was proud before I came on exchange, but being in a different country for a long period of time has given me the opportunity to see New Zealand from an outside point of view. I am so lucky to be able to call New Zealand my home. Home- I used to believe that this word was defined as the place where you were born, where your family are, and that it was only possible to have one. But now I know I was wrong. Austria has become my second home- I have friends, family and memories here- which for me, makes Austria just as important as New Zealand. It’s an odd feeling to have an international family. Not only do I have friends in New Zealand and Austria, but from all over the world. Other Rotary students just like me, are regarded as family because we all have something in common - exchange, it brings us together and we can understand what each other is going through because we have/ or are going through it ourselves. 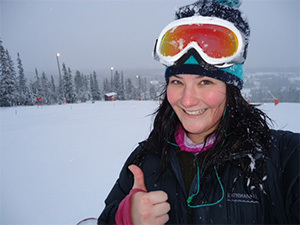 Also we attend rotary events such as; Euro-tour, Ski-week and District conference, where we are able to connect and learn more about each other. I can honestly say that some of my strongest friendships are with the people who I may only see six or seven times in a year. Before I finish I just want to expand on what I mentioned in the beginning; the question the woman asked me: “would you regret not going?” I believe that the pros of exchange outweigh the cons, and not matter how scary it seems it’s not impossible, you just have to be willing to take the leap. Overall I have learnt so much from exchange and I look forward to my last few months here. 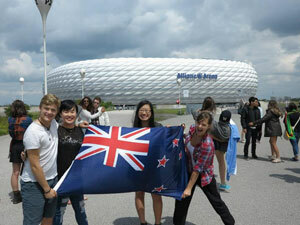 I can’t wait to go back to New Zealand to see my family, but I know it won’t be long before I’m back in Austria again. In a few days I will have been away from home for 7 months. It seems like I've been here forever but also like I’ve just arrived. Going on exchange I thought that I was a pretty open minded kind of person and I thought that I had experienced and knew a little bit about different cultures etc. having travelled overseas for my sport. I couldn't have been more wrong. After arriving in Denmark and experiencing their culture and way of living and how they act I realised how little I actually know, how there are so many other ways of doing things and so many different things that I've never heard about or experienced before. I finally landed in Denmark. I thought the day would never come - it seemed so unreal that I had just left my home country and I wasn't going to go back for a year. People ask me if I'm crazy and the answer is definitely yes. I was mainly nervous but also excited and very curious. That drive to my new home for the next 4 months is one of my clearest memories, so many thoughts going around my head and hearing a different language spoken in the car and thinking how am I ever going to understand that? But I knew I would learn. My exchange however did not start in Denmark but in Los Angeles. It was hard going from spending 3 days in LA with people from New Zealand to school with my new class in Denmark and then not long after I was off to intro camp where I met a lot of new exchange students who I automatically got along with really fast because they were going through exactly what I was going through. These people will get you through everything and make your exchange even more amazing. The first few months can be hard because you don't know anyone here like you know people back home. You can't just go over to your best friend’s house and tell them what's wrong. You have to make a real effort to interact with people and get involved in your new community. There's no real connections yet; a lot of potential relationships but no solid ones where you can rely on people yet. But don't let this discourage you. Once you get through the first couple of months everything starts to feel amazing and the country really starts to feel like a 2nd home. It forces you to be independent (in a good way) and teaches you that when something doesn't go your way or tears you down you have to get back and fight again, again and again until you get it right. I have gained a lot of confidence and determination so far from my exchange and it’s helped me find strength I never knew I had. This experience has had a lot of up and downs so far - mainly ups. I'm far more stronger as a person now and even though it's not an easy thing to pack up your life and throw yourself in the deep end I would happily do it all over again. It's really an experience of lifetime that helps you grow and mature in the best way possible. People worry about losing connections and bonds between their family and friends, and people asked me how are you going to survive without your best friend who never left my side and what about your family? The truth is that I feel closer than ever to my friends who keep up with what I'm doing because it really shows you how much they care and you know that distance can never break that. I considered my mum to be quite close to me when I left- now being overseas for a long time I feel even closer. You learn to appreciate all the little things in life, like a simple hug from your mum. I feel very lucky to have been given this opportunity. I've met so many people who have had an effect on my life and so many friends from all over the world, some that I will be lifelong friends with. It's great to build these connections and get to know people from other cultures and backgrounds. I will never forget. "Although deep down, you know you don't miss a place, but a strange and magical conjunction of the right place, the right moment and the right people. That year when you travelled, when you shared your life with special ones, when you were so happy that you felt like you could do anything. There's a tiny bit of who you are scattered among the places you've lived in, but sometimes going back to that place is not enough to stop missing it." From the country with endless cheese and wine, I send the warmest greetings to you! The girl that used to hate cheese and get any chance away from drinking wine with her dad has now developed into a great cheese and wine lover. Bonjour, my name is Harriet and i am the Outbound to France 2015-2016 and will forever be. As i am sitting in the lawn of my host family's garden I cannot believe that it has already been a solid 9 months since I arrived here. Goodness, i knew time goes fast but this is speed of light fast. However it wasn’t always like this, I mean i had my strugges when i first arrived here. The great, enormous, gigantic language barrier that i thought i would never get over. The awkward converations with the family, endless rotary meetings and school… It was all really hard at first; and the fact that you had no family to run back to, to cry on their shouldes and rant about your day, made me miss home a little. But give it 3 months. I tell you 3 months. This is what i call, the golden time. After 3 months everything has changed. Your school; how your classmates act towards you; the language, how you can actually understand when the waitress tells you the daily specials; the family, where you start calling them mum and dad so you have to explain to other people about how many different mums and dads you have, they becme the shoulder you cry on when you are sad; the country, which is now not your host country but your country. Finally yourself. You change the most from all this time. You are lovable, more independant, smarter, comfortable with change, funnier, prettier, nicer and endless other things but finally, stronger. I found that exchange builds your own character, lets you find who you truly are rather than trying to be someone you are not. It lets you find your dreams, what you want to do in the future, building your connections, opening endless possiblities. I love myself more than I ever did, i care for myself and know when to stand up for myself. I can express my feelings without being afraid of being shut down. I am me, and I am proud to be. And do you know what the best part is? You get to spend it with the people that think like you, dream like you, and will now be your friends for a life time even though you only see them 8 days in your whole year. You have a place to stay in every single counry by the end of this exchange, from the whole of America, europe and asia. Before I came on this exchange, a great man told me, if every single person went on a rotary youth exchnage there would be no wars. This is so true, and the best way to describe the relationship you develop with the other students. People will tell you this is a huge risk, an insane idea that is going to cost you the year you lost in school with all the leadership opportunities and credits for school. people have told me countless times. I have one piece of advice for you. Don't listen to them. Nothing will be able to replace the people, memories and love you find on exchange so block out the negative energy. One credit for university can never be equal to even just one minute on exchange. Trust me, you will regret nothing. I don't want this to end. I wish I could be an exchange student forever. The great adventures all throughout europe, the unforgettable bus trip and the weird happiness you feel when your photo is put on the fridge of the family. The wonderous moment when the person that was a perfect stranger months ago calls you their daughter. Every moment is special, unforgettable and thankful. Thank you rotary, for making 2015 the best year of my life, this for a fact, will never change. I have so much to tell you, so much to bragg about, so many stories to relay, but I guess you have to find out for yourself. So go on, lets see if you have the first quality of a future exchange student, getting out of your comfort zone. I'll be on the other side waiting for you. I've been in Austria for 9 months now and it's just been a crazy roller coaster ride that I've enjoyed so much. It's crazy to think that my time here has gone by so fast. I was actually never sure what to expect before I got on that plane in Auckland, I really threw myself in the deep-end. Never once did I imagine myself doing something like this!! Travelling by myself all the way to the other side of the world, meeting new people all the time, trying to adjust to a new country (completely different from my own) and experiencing something new every day. But it was so totally worth it! I have developed (I believe) in a positive way as a person, learnt a new language and culture, made friends not just from Austria, but from all over the world and travelled to the countries and places I've only ever once dreamed of visiting. The memories I have made here in Austria will remain with me forever. I still remember my first day here so clearly. I had only arrived in Hallein (a town which is about 20/30 minutes south of Salzburg) the night before and the next morning my host family took me mountain hiking in heavy snow! Mountain hiking is such a typical thing to do in Austria since the Alps are pretty much in our backyard, but it was honestly a difficult experience …going from sea level, then flying for about 28 hours (plus three days of travel in between) to being on a mountain that was more than 1000 metres above sea level – and in snow - which didn't really help! But I did it! I look back on that memory now and just laugh about it and now hiking is something I really enjoy doing, it's such a great way to exercise and just enjoy nature. I lived in Salzburg-Hallein for 7 months and am now spending the last 4 months in Vienna. Vienna is the capital of Austria and is a city full of so much history and culture. I moved here in September and the last two months have been crazy: I have done and seen so much and everything so far has been amazing. I have been incredibly lucky to be able to live in two of the most well known cities in Austria, people always ask me – which do you like better, Salzburg or Vienna? That is such a difficult question to answer because both places are so different, both however have a special place in my heart. Since I moved cities, I had to practically start all over again adjusting to new school and new faces, but it wasn't that difficult. People in general here are very friendly and kind, the host families I have had have been amazing and I have also made some really great friends. Another thing I am so grateful for is my “exchange student family”. The friends I have made from all over the world have always been there for me and we are always there for each other. Since Austria is such a small country we have a lot of opportunities to meet the other exchange students. It is so great having other people there who know exactly how you feel and can completely understand what you're going through. I could probably go and on for hours about time here in this beautiful country and the amazing people who I have become close to, but at the same time it hard to put down everything I want to say in words. I am so thankful for this year and for this amazing experience with Rotary and I cannot recommended enough to go on an exchange, just do it! Because this isn't a year of your life, it is life in a year! My exchange began on the 16th of January 2013. I was anxiously waiting for my flight to Los Angeles, along with 35 other exchange students from all over New Zealand. As the moment to board soon arrived, emotions started to kick in. Before we knew it, our goodbyes were said and our seatbelts were tightened…we were on our way. We spent three days exploring the wonders of Los Angeles. 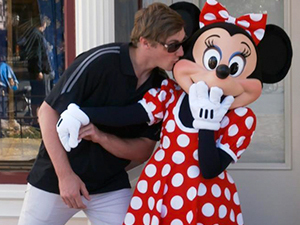 We visited multiple tourist sites such as Disneyland and Universal Studios. We were lucky enough to attend a dinner with the Westchester Rotary Club who were our sponsors during our stopover in America. My American adventure was soon over and we were on our way to London, but my travels didn’t stop there. I carried on through to Paris. Unfortunately, heavy snow stopped me from catching my train. Not that I was going to complain about an overnight stay in Paris! The following day I caught my train from Paris to my new home, Niort. 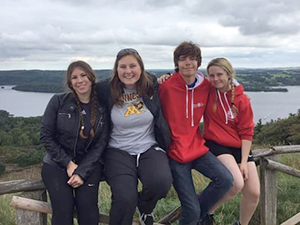 During my exchange in France I had four host families. Every three months I would pack my bags and change for a new beginning. My favourite family was my first host family. My father Guy and my mother Frederique were amazing, I was lucky enough to have a host sister my age, her name was Elsa. In my second host family my host Dad was my counsellor who lived in a really nice house in the middle of town which was perfect for school and public transport. In my third family I had four siblings and lived on a farm meaning we had horses, dogs, cats, fish, mice, birds and chickens. Lots and lots of chickens. While I was living with my fourth and final family, they bought a house so I had the unique experience of moving house in France. 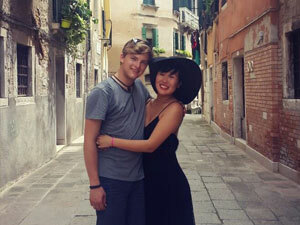 I had a host sister named Romane who looked after me and we did heaps of things together including travel. One of my favourite places to visit in France was La Rochelle. La Rochelle is a city on the western side of France and is well known for its sea port. I travelled to La Rochelle on a regular basis because it is gorgeous and is easy to get to. It would usually take me 40 minutes to get there by train. My first host family took me to Nantes, which is located, again on the western side of France about 50 kilometres inland from the Atlantic coast. We went there to celebrate my first month in France. We spent the day at ‘The Tower’ which is the third tallest building in France standing at an average height of 144 metres. I travelled to Paris multiple times including going there for a Rotary weekend and to watch France win against the Springboks in November. I visited the Chateau de Versailles which was magnificent. I discovered beautiful art inside the ‘Musee d’Orsay’. My Mum came to visit me for a week while I was away and fortunately we had the opportunity to spend the weekend in Paris. Together we went to Le Louvre, we went up the Eiffel Tower, and we visited Sacre Coeur. We walked from Notre Dame to the Arc de Triomphe which was very tiring as the distance was 5 kilometres and we were in killer heels! I went to London for two weeks with my best friend Kate. We saw Big Ben, Buckingham Palace and the London Eye. We spent the day at the Harry Potter Studio which was probably the highlight of the trip. I also went to Barcelona for a day with my first host family during a stay in Le Barcares which is a city in the south of France. We went skiing in the Pyrenees on the border of France and Spain. I have also travelled all over the western side of France, to Bordeaux, Carcasonne, Angouleme, Angers, Cholet, Rennes and Saint Malo. The favourite part of my exchange was definitely my Euro Tour. 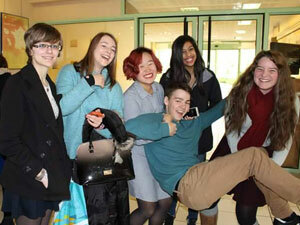 We were a group of 53 ‘inbound’ exchange students from different districts in France. We visited 5 countries in 12 days, travelling in one big bus. I started off in Niort, then went to Paris to meet everyone. We then went straight to Strasbourg, which is on the border between France and Germany. In Germany we stayed in Nuremberg before heading off to Prague in the Czech Republic. We stayed there for a couple of days then headed to Vienna in Austria. After that was Italy, then off to Geneva in Switzerland to visit the United Nations building. We passed through Chamonix which is a mountain range between the borders of France, Italy and Switzerland before heading back up to Paris. Travelling around Europe was an amazing experience that I will treasure forever. The travelling part of my exchange was definitely a highlight but my exchange also brought many challenges. I wish I could explain the experience of speaking a new language. It’s not just learning new words. I had to learn a new sense of humour, a new sense of courtesy, a new sense of tone. In the end, I was a new person. To abandon your native language and to adapt a new one is to dismantle yourself, piece by piece, and then to put yourself together again. Although a year seemed such a long time, suddenly a year had gone by and I was heading home. As my final farewell to France, I got to spend the last three days in Paris with Katie from Pukekohe. We enjoyed shopping and sight-seeing but we were sad knowing that we were nearing the end of our exchange. Luckily for me I was able to stopover in California to visit an exchange student that I had met during the course of my exchange. So while Katie was heading home to New Zealand with the other exchange students, I was living it up in California. I had 10 days in California altogether and during that time I went up to Lake Tahoe, I went to San Francisco, saw a bear in the wild. I crossed the border over to Nevada and had my second look at Los Angeles. On the 16th of January, exactly one year after leaving New Zealand, I was back on a plane and heading home. Well there is no better way to start off then to say thank you! Personally to Rotary International in Switzerland, to members of Whangarei City Rotary Club, my wonderful family who helped support this opportunity and to all the people who make this amazing year happen, a year that will indeed change your life, as it did mine! There are always going to be years and times in our life which will challenge us, mould us into being those wonderful people of tomorrow. Every single day of 2013 was a day of challenge, change, adaption and acceptance. To expect the unexpected. To learn, to create and to evolve. I left New Zealand as a 17 year old, looking back now I’d say immature, sometimes late and not one who liked to do dishes at home! I was leaving home not knowing if things would change when I was back or whether I myself would change throughout my year away. I didn’t have many instructions other than a “don’t break your leg” from Mum and a straight forward set of rules to follow from Rotary. But the ability to experience another culture first hand, to live, eat, sleep, dream and speak in it every day changes you. A new culture opens your eyes and your heart to those things you might not normally notice around you, giving you new opportunities to create new directions. I definitely recommend you do what I did and get on board with this opportunity, and grab it with both hands, get involved with as much as you can, it’s so worth it! 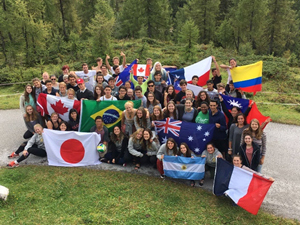 As a Rotary Exchange Student you not only have an amazing year away, but you can have a year that changes your life! I am so thankful for the opportunities that came my way, for the ability to explore learn and develop in the world. I now look more openly on life and have memories to pass on to those generations to come, to be able to encourage them to take on this same opportunity, to be an ambassador and experience a new culture first hand. To have the experience to grow more in a year than you could have thought, to learn a new way of life, a new language and to not just have one family, but multiple, that love and care for you. This is your future, your opportunity to not just dream but to “live”. •	I was to have 3 amazing host families who would all adopt me as their son and raise me in the culture of the Swiss, Cheese, Chocolate, Trains and Wine. •	Have a class that was so closely bonded & accepted me as one of their own and genuinely broken hearted to see me go. 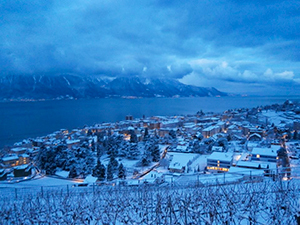 •	Have fantasy/reality experiences like snow fights, ski, snowboard, toboggan, sledding, learn to row on Lac de Leman, visit more castles than I have seen in picture books, to visit a chocolate factory and cheese factory, picnic’s in the vineyards with picturesque mountains reflecting on the lake. •	See the world’s most expensive cars at a Geneva motor show. I was to live a life that I personally wouldn’t have thought would be possible two years previous - and all because of the opportunity through Rotary. Wondering what on earth she had just asked me, (which was “Welcome to Switzerland”) …the class of course roaring in laughter, but within my first week I was settling in just fine. As time passed I learned and developed my skills in my new language of French. “Salut and Ca va” became some of the first words I learnt, my progress for the first month was really well and then it just “dropped off” I couldn’t quite get my head around it? It wasn’t because it was a new language, it was that it was a new form of speaking. After a few months and more lessons locally the French really started to kick in. Now I am ecstatic that I can speak fluently, honestly it is more valuable than anything I’ve ever had, the ability to know and speak another language is just so personally rewarding on so many levels. Make it your goal too! Swiss like to be organised arriving 10 to 5 minutes early for everything, which was probably the biggest shock of all coming from New Zealand I soon figured that I had to start getting ready a lot earlier to be able to fit everything into my day. With trains travelling the entire length of the country and being right on time, it was just natural that you were too. Public transport in Switzerland is great, but organizing myself with bus and train timetables, along with the language difficulties in the first few months was definitely a challenge! One thing I did notice is how Swiss people don’t really like change. They have their rules and their ways and like to stick to it because they know it works. When travelling long distances on the trains throughout Switzerland, each new region would be a new language – they have four! All throughout Switzerland it is very clean which meant that when you went somewhere else you really noticed mess. So for me having a year of cultural festivities, cultural holidays and of course hard work really made it special, that along with underfloor heating and having chalet’s in the mountains only a 5 minute walk from the chair lifts really helped!! TRAVEL: You do a lot! I travelled to a total of 8 different countries visiting over 14 different cities. Switzerland Rotary have organized tours available for you although we didn’t have a “Euro-Tour” like some other countries, but I think what we did was better. 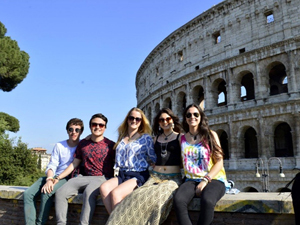 We did two trips, one to Venice & Rome for 6 days, and one to Paris for 4 days, this way you have time to really get the vibe and feel of that particular culture. You will have to budget for these trips yourself but they are so worth it. FRIENDS: These are the new and amazing people you meet! 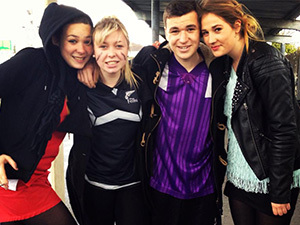 I was lucky enough to get on really well with other exchange students in my area and all my mates at school, however my best friends were 5 Swiss blokes – but not your average kid ‘next door’ like in NZ . My best friend Maxence was the Mayors Son. 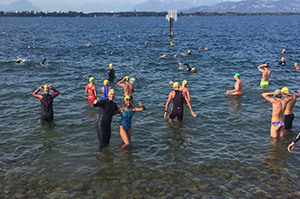 Leo was 2nd in Switzerland and in the top 15 of the world for wakeboarding (sponsored by Billabong), Valentine was the 2nd best swimmer in all of Switzerland and Gregory who along with Maxime was a top competitor in swimming. My friends were amazing and were the main people who taught me my French along with my families, all of whom I now consider now to be lifelong friends. FAMILY: I had three wonderful families in beautiful homes with breath-taking views. My first family was perfect and such a good way to start as I had a host sister who was in the same school as me. My next family were an older couple with no kids my age but they were the encouraging ones and helped me to get extra lessons & really develop my French. My third, and final family were my special ones and we travelled everywhere. They took me to see the whole of Switzerland as well as many different places in Europe and we went to concerts. I lived the most amazing fun filled lifestyle and I couldn’t have experience this or had the year I did without any of them. 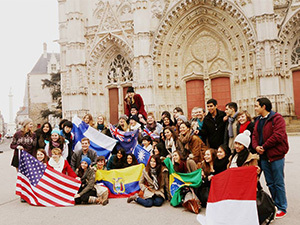 CULTURE: This is probably the most important part as it is you are on a “cultural youth exchange” and if you choose this opportunity to go somewhere new, then part of it is to immerse yourself head to toe in another culture and way of life. 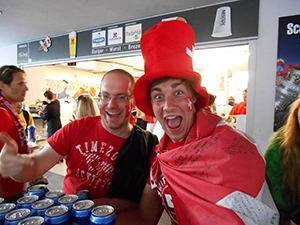 I believe that the Swiss are very fortunate, but also very hard working, largely in part to their organisational skills that enable them to get done all that then need to do. They always take time to have holidays it seems and always have celebrations going on somewhere in Switzerland. It was quite different too to have 4 different languages in the one country. ROTARY: Often Clubs are made up of all-male Rotary club or all female clubs, not many are known to be mixed. Sometimes throughout your year you have amazing high points, but also expect a few disappointing lows, it is normal. However, it’s how you deal with them that teaches you to grow. My low point was that as much as I liked to be included in events with my Club, I wasn’t, so I felt more like an inconvenience at times. Most of our members were busy businessmen and didn’t involve me much in club activities. But there were a small handful of members who were lovely and really nice to talk to when I went to meetings, but don’t expect it to be like in NZ, you have to really “ask” to be involved with your Club activities, and that often won’t happen much until after you have mastered the language. However, I did get to do an amazing VIP preview tour of the Montreux Jazz Festival and have a private group tour of the castle on the lake, Chateau de Chillon through my club, which were great privileges. Rotex (ex Rotary students) is a cool organization in Switzerland that you will get to know, we did weekend events with Rotex and the inbound exchange students three times throughout my year which was funded for me by Rotary. 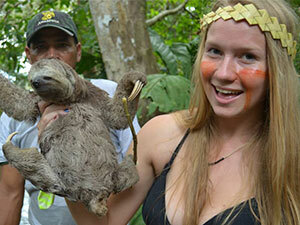 This was a great time to meet the new arrivals and find out cool new things to go and do while there was still time. 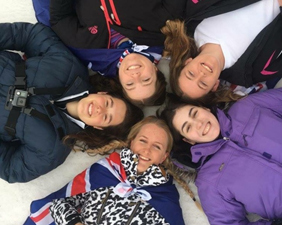 Hanging out with other exchange students is good but the real learning is with the locals – as really the ability to experience another culture first hand, to live, eat, sleep, dream and speak in it every day is what changes you for the better. “Bags and suitcases tumble out of the boot and the four passengers pile out of the car, heading upstairs to the hotel room, excitedly awaiting the next twelve hours’ when they would be leaving to head to the airport, to get him, the youngest son on a plane for a life changing adventure. As he lay waiting for the lights to go out he thought about tomorrow, the wild unknown, the experiences to come, the new cultures of the world to experience…who would ever want to leave New Zealand? It’s so peaceful, so reassuring” ….I had no idea of the amazing year ahead. 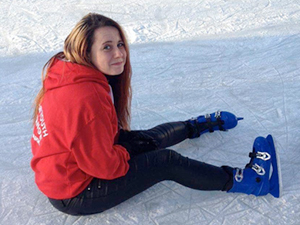 My name is Rachel and this year I’ve spent living in Sao Paulo, Brazil. I remember sitting in my room in New Zealand over a year ago thinking about everything I thought my year to come would be, and now, after spending these months here, seeing how wrong, and right I was. I chose Brazil because I was looking for something completely different to my life at home and I really did find that! Almost everything I’ve experienced here has been a culture shock, the food, fashion, attitudes, people, language, transport…but all of these differences taught me so much about a different way of life, as well as realising about what I already had, what I perceived as normal in New Zealand. I met a few wonderful people that made me realise that sometimes your best friends forever aren’t always found just in high-school, I mastered a completely different language-which let me tell you- makes you feel like you could conquer the world and travelled to some places that really leave you breathless, once in a lifetime opportunities. My best days in Brazil, and maybe in my life, were spent travelling down the Amazon River, in three boats, with 60 other people from all over the world. It was almost life changing, the things I did seeming like they were from a dream. I floated down water so black and midnight it looked like black silk, with jungle on either side of me, where you could see golden maned monkeys swinging in the trees and rainbow parrots in the sky, I fished for piranha at dawn and swam with pink, prehistoric-looking dolphins, held a 5 metre long anaconda around my neck, slept in the middle of the jungle and took tuk-tuk boats deeper into the jungle stream alleyways where we found sleepy sloths to cuddle, I visited an Amazônian tribe and they gifted me the name Hywy, which is pronounced kiwi… yet they had no idea where I'm from- and it means eagle, I plucked baby alligator from the waters at night, roped-fished for catfish three times my size and swung to sleep in hammocks each night. One of my favourite nights was when we took the little tuk-tuk boats into the very middle of the river, I remember sitting with a very good Danish friend of mine and pointing to the stars and showing him the Southern Cross, then he pointed and showed me the Northern star – we looked at each other, realising that we were so close to the equator that both our Northern and Southern hemispheres stars had been mixed, making a sky so full of stars it didn’t even seem real, even more so because the water was so earthly still that our whole world had been momentarily transformed into a world only filled with stars and our breathing, like we were floating in the sky. 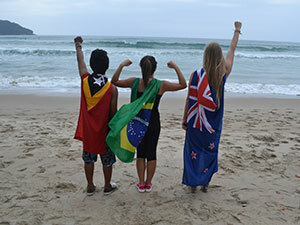 Coming to Brazil was like starting a whole new life, you could be whoever you wanted to be and nobody expected or knew anything about your life in NZ. Back at home I grew up in the same city all my life, where everyone knows about all your achievements or feats and are inspired or proud of you because of this, but here it was such an incredible feeling when people were still inspired or impressed by you without knowing about any achievements, inspired by just you being you, the way you looked at things or just lived your life, it really let me find myself and be happy with who I am, happy just being me. This year had most definitely been one filled with a lot of memories, one that I won’t soon forget, it has been a year that has in fact changed my whole future too. Making my thirst for travelling even stronger and now having more of a need than a want to go and visit the people who now mean so much, it’s made me apply (and be accepted!) 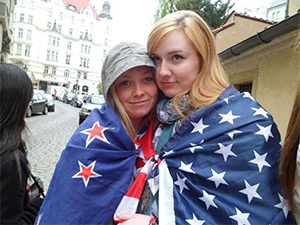 into overseas universities and travel programs and has helped me to have an even bigger appreciation and pride for New Zealand and everything I have there in my true home, Aotearoa. Never did I ever think that I could be away from home for 12 months, or go to a country that spoke another language but in January 2011, I hugged my family goodbye, stepped through the departure gates of Auckland International Airport and boarded my flight to Sweden for a 12 month experience that changed my life forever!! To me Sweden seemed rather exotic - I had no idea about what to expect, except of course that it was going to be cold! But the more I began to explore and immerse myself in the culture, the more I fell in love with the people and the country. 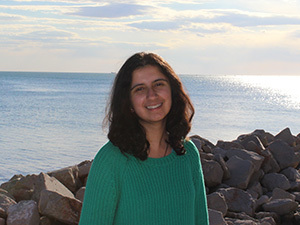 I made friends from all over the world, creating such strong connections purely because of the fact they are experiencing this wild ride right there beside you, and they are the only people who truly understand what it is like to be an exchange student. 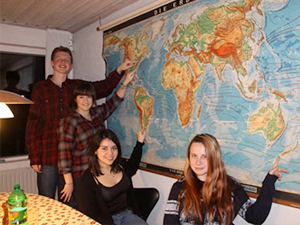 The opportunities I was offered as a IYE student in Sweden were endless! 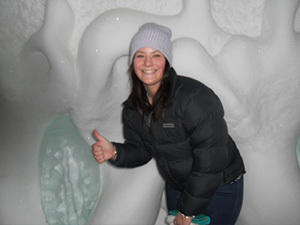 First there was a week long ski trip to one of the largest ski fields in Scandinavia, then there was the trip to Arctic Circle where I saw the Northern Lights and visited the Ice Hotel also! In the middle of the summer 82 exchange students from all over the globe went on a 17 day Euro Tour throughout Europe, doing and seeing so many things that before my exchange I wouldn't even dream of being able to do. For my 17th birthday I woke up in Austria and went to sleep in Italy, without Rotary that would never have happened. Becoming an exchange student taught me a lot. It has given me life experience that has helped me in many ways. I can confidently speak to any person, no matter their age. I can competently speak publicly, both planned or impromptu. I can speak another language, learnt a whole new culture. Most importantly, throughout my year away, I grew up! Being so far away from your family and friends can be hard, but it taught me to become a lot more independent. For me my IYE year continues to influence my life even though I have been home almost 4 years now! I am now a board member of The Rotary Club of Whangarei City and together with the club have carried out several service projects for both local and international projects. I am currently training to become a Registered Nurse and plan to travel and volunteer with my connections through Rotary when I am qualified. My year away in Sweden really was one of the best years of my life. I met the most amazing people, who will be friends for life and got to experience so many amazing things! 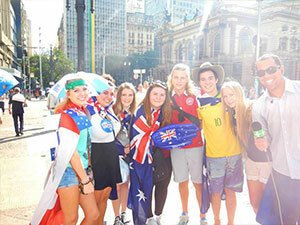 Become a Rotary Youth Exchange Student, say YES to every opportunity you are offered and go have the time of your life! !